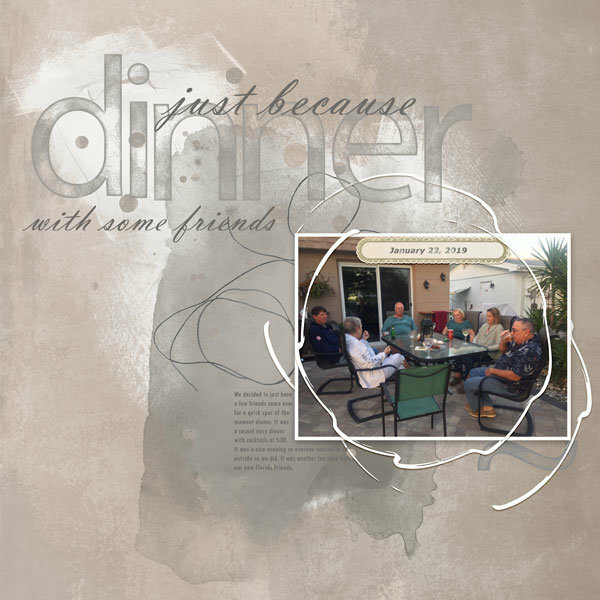 love the neutrals and love that you scrapbooked a simple dinner with friends. I think that scrapbooking these simple events help lock that memory in, otherwise we tend to forget them. Lovely page. It looks like a lovely evening and time tohether. I like how you placed yoru photo and the neutral background and colors you used. Looks like a nice, relaxing time! Love the way you created your title! I love the title! This is a really striking page. It reinforces the little things in life that become the big things; because the best "things" in life aren't "things" at all.